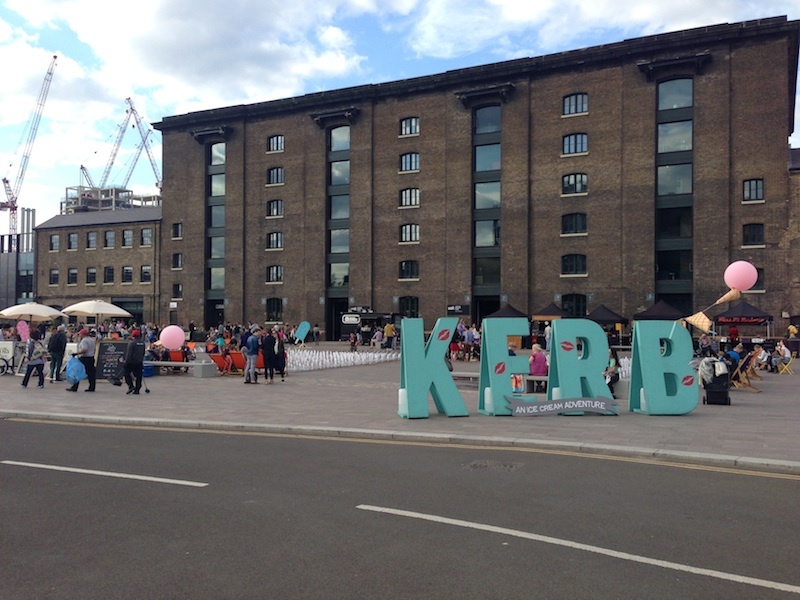 On weekday lunchtimes (Tuesdays to Fridays), street food collaborators Kerb put on a collection of traders in the space, calling it Kerb KX. I must admit I’ve never been – despite absolutely longing to – but I certainly do envy all those that are around the King’s Cross area during lunch, being able to try all those delicious options…! Kerb do also host monthly events in the same space in summer called Ice Cream Adventure – with a name like that, you know you like it already. 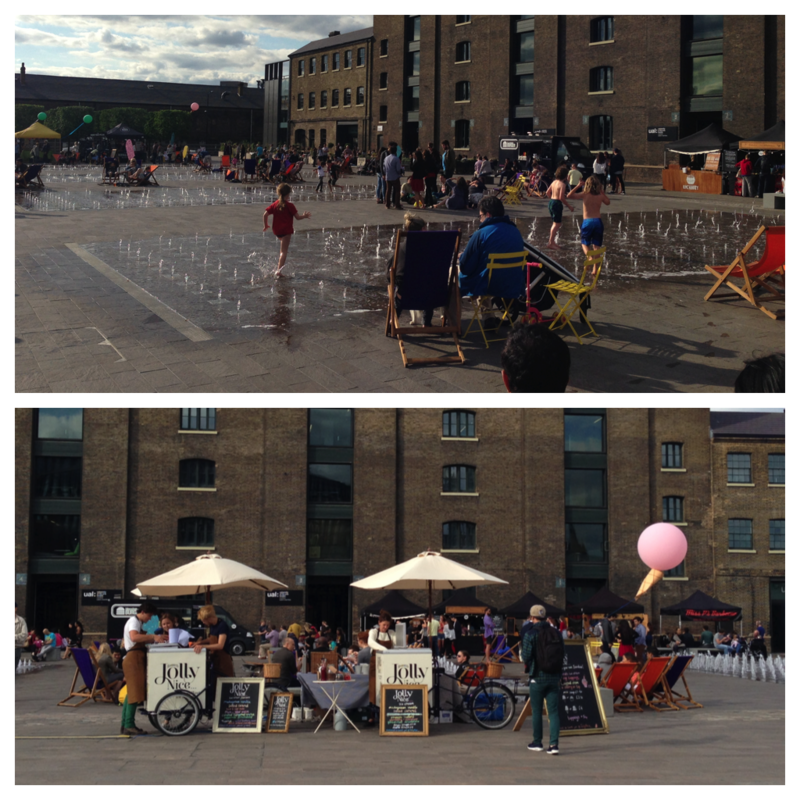 This past Saturday, twelve ice cream vendors were dotted around the edge of Granary Square offering up their delicious frozen treats – everything from ice cream cakes and cookie sandwiches to ice cream and doughnut combos, as well as unusual flavours galore including alcoholic kinds. Kerb suggested that most stalls were doing a £1.50 special, allowing you to try decent portions of some items for a special price. We’d turned up a little late to see any of this in action (but I have no doubt it did!) so just opted for regular, pile-it-high ice cream – beer and nuts (yup, you read that right) ice cream from organic specialists Jolly Nice, plus white chocolate and Malibu flavour (known as a ‘White Knight’) from the Drunken Dairy. A very pleasant Saturday afternoon in one of my favourite spots of London! Check out the next installment – the last for this year – on 20th September. P.S. Yeah, I know you’re wondering – beer and nuts flavour? What’s that? And does it really taste of beer? 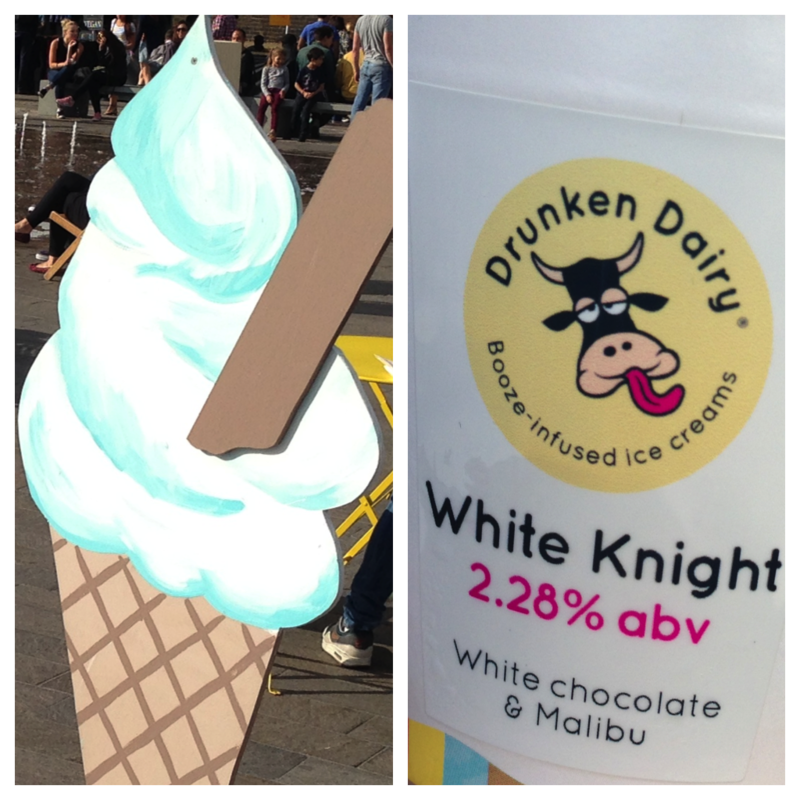 A1: It’s what you’d have in a pub, but in ice cream form. A2: Yes…yes, it does.